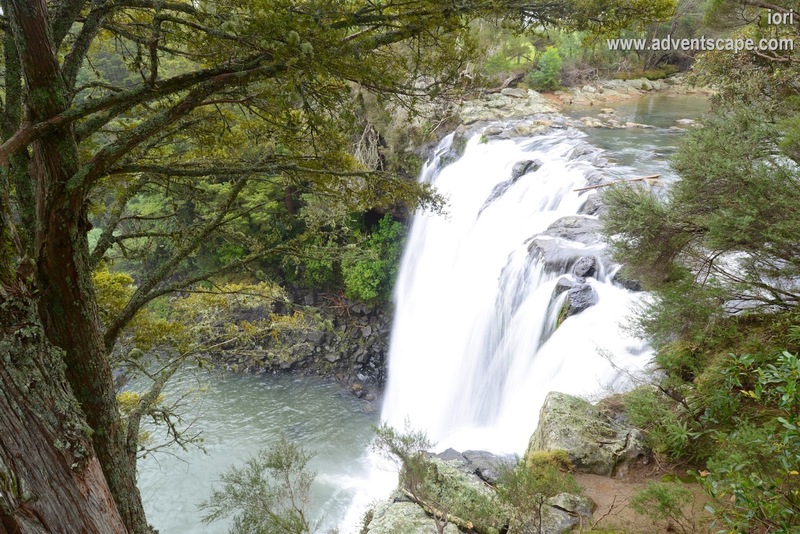 Rainbow Falls is probably one of the amazing waterfalls that I found in New zealand - and very accessible too. It's located at the North Island of New Zealand. During my North Island trip, almost all the places we're eyeing on going (from Day 1 to Day 3) had a forecast of rain. It's a bit disappointing but we needed to maximise the trip. We decided to go north - Bay of Islands and Cape Reinga. This route had less probabilty of rain and the scenery is inviting. 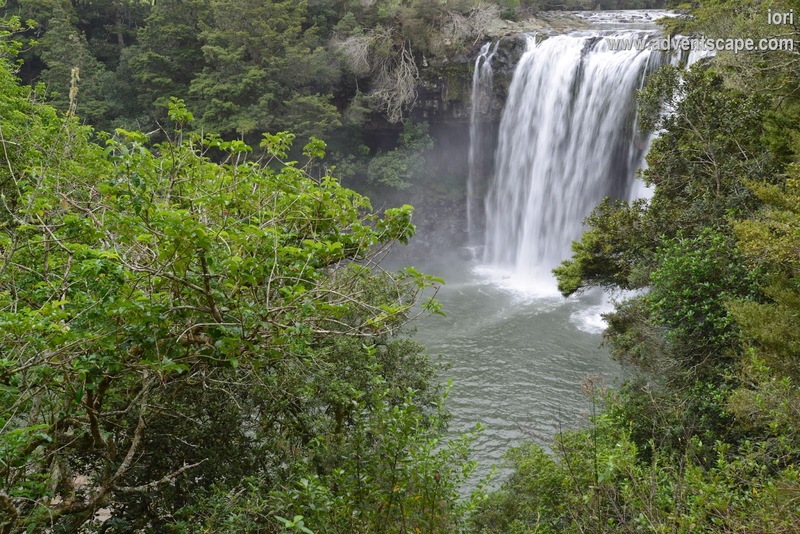 Before the long drive to Cape Reinga, we decided to visit Rainbow Falls. There's not much to prepare if you want to visit this place. 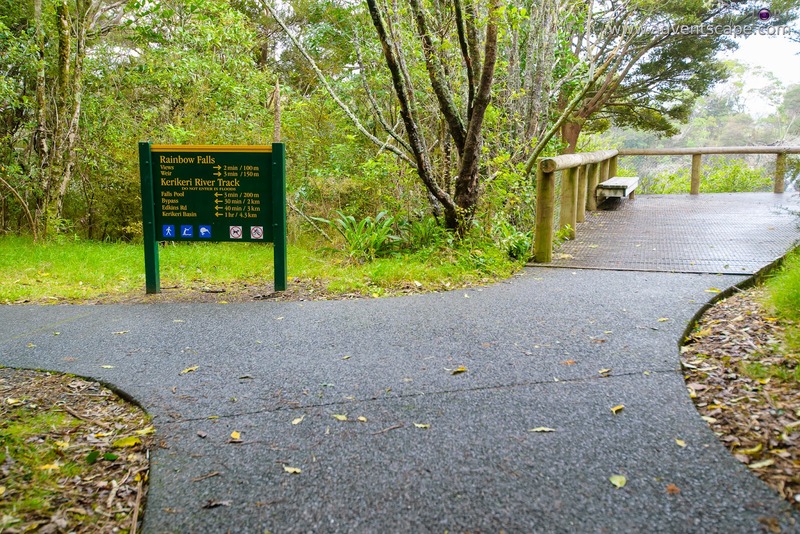 It's very accessible and the walk is not that far. Put it in your itinerary and enjoy going there. 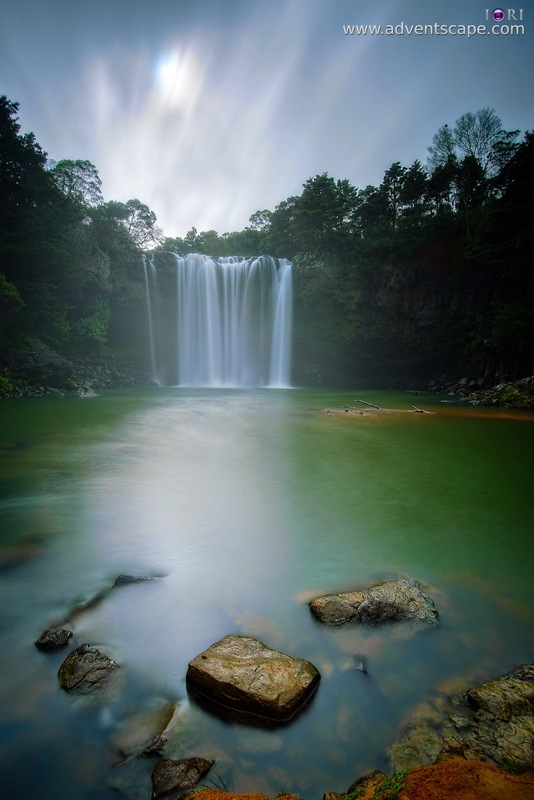 If you're a photographer, there's more to it than just ND filters. Rainbow falls' location is a bit secluded or closed. Thus, the water can spray where your lens is. I'd recommend bringing a microfibre cloth or anything that can dry your glass and filters. I usually go to location without my cleaning kit. But this time, it's best to bring those with you. A good pair of boots is a good idea, especially if you want to get closer to the water. If you stay on the route, you're all good as it's cemented. 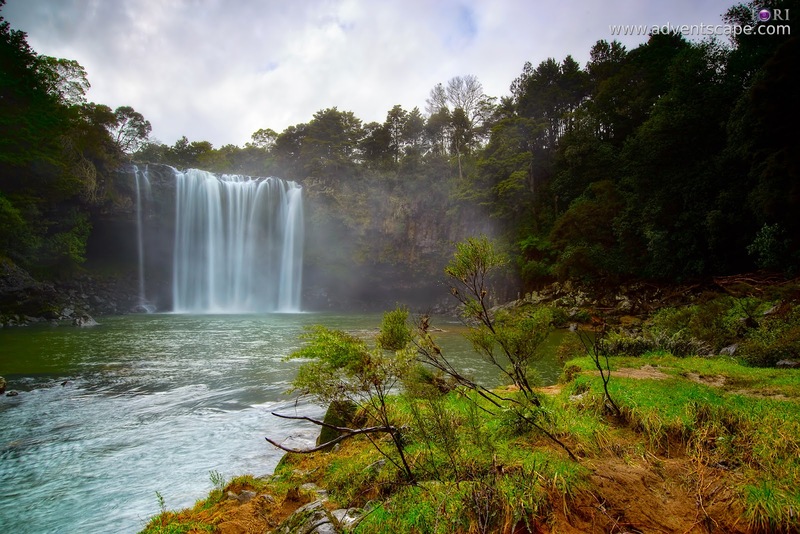 Rainbow Falls is very close to the township of Bay of Islands. It's just a few turns and you're already there. Below is a reference map. There are parking spaces at the start of the walk. It's a good idea to visit the toilet as it's at the start of the track. On the first fork of the route, the right track goes to the viewing deck. The left track goes directly to the Fall's bed. Going right, the first decks lets you view the entire falls. If you move on further, there is another viewing deck. 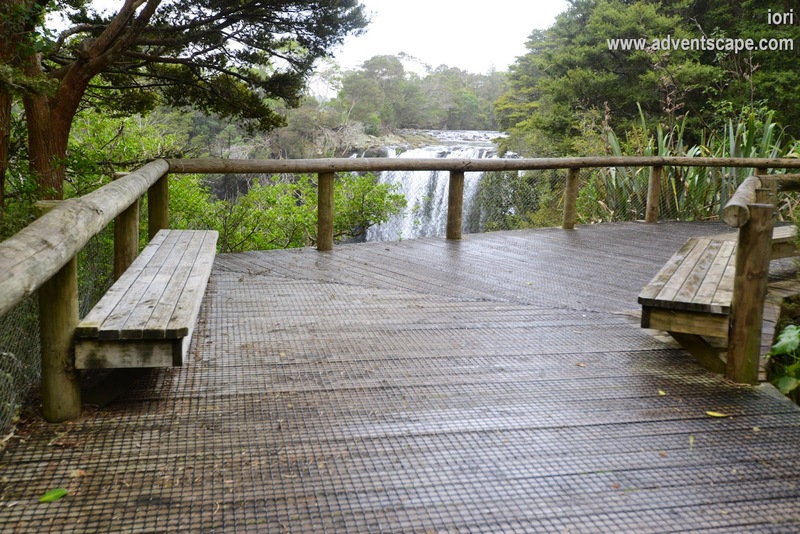 This viewing deck lets you get closer to the top of the waterfalls, so you can see the water as it falls from the high level to the Fall's Pool. I went on both viewing decks. It's just close and easy to photograph. The left track goes down to the Falls Pool. It's just a few minutes going down. It's straightforward. The track might be a bit slippery especially on rainy season. This is an amazing place. I love it here and I can create many compositions. But I'm short of time and the weather is not cooperating. So I managed to grab only a few photos. The Fall's bed is wide. 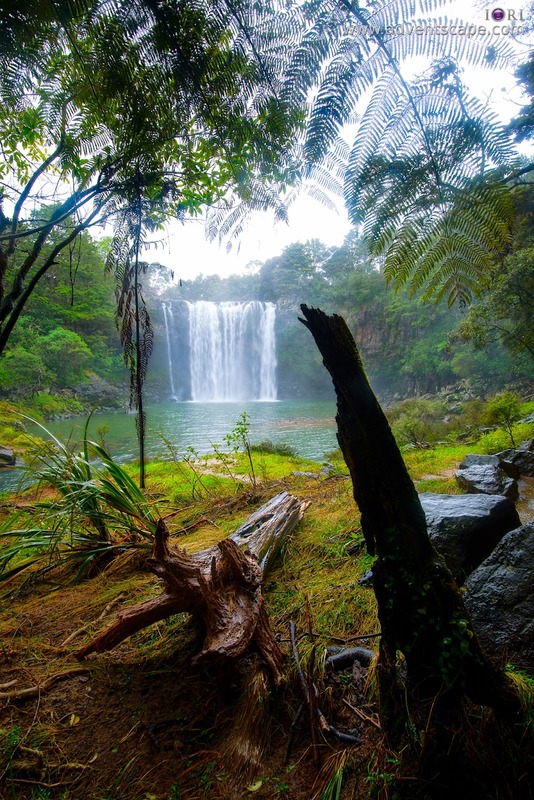 Like Whangarei waterfalls, you can think of many possible compositions in this area. There are many plants, trees, broken trunks / branches, stones and boulders. When we came, it was drizzling and the waterspray is so bad. I managed to grab a few photos without water spots on my filters. Add to that I'm doing long exposure - more window time to have water spots accumulate badly on the front filter. 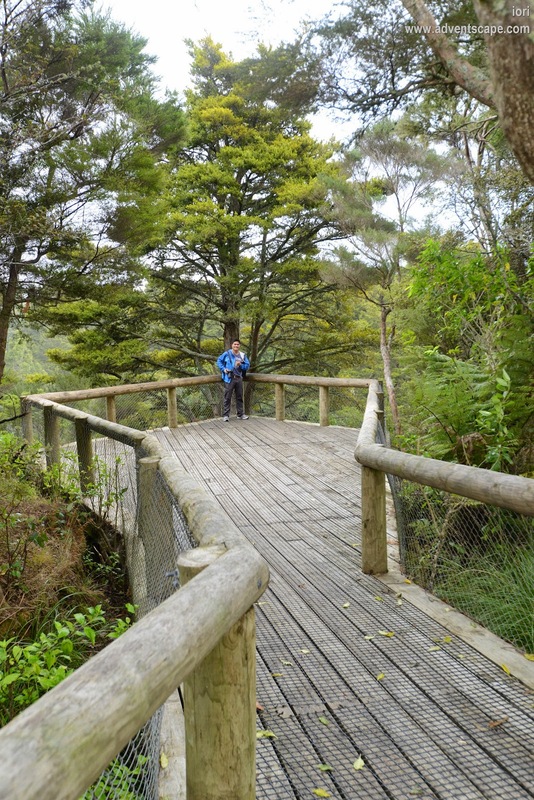 If you're visiting Bay of Islands, New Zealand (North Island) it's worthwhile to detour here. The place is amazing, accessible and easy to get to. The viewing decks are very relaxing and the Falls Pool is very majestic.